One of my very dearest memories of Christmas as a child, was waking up to snow on the ground with a house filled with friends and family. Coming out into the living room there was our tree, with mounds of presents piled high and a train running on it's track around it! My parents did not have the finances to afford all those presents. I was to find out in later years that our church had gotten together and blessed us with those presents. That picture is still so vivid in my mind. Not only were there those presents around the tree but someone(we never found out who) Had dropped off two German Shepherd puppies in front of our house. My siblings and I were ecstatic! I am sure we all sat around as my Dad read the Christmas story and we shared a delicious meal together, but all I remember was the snow, that amazing tree surrounded by presents and those adorable puppies! Another one of my fond memories is my parents taking me to the mall to see Santa( though I knew he wasn't real) I sat on his lap and told him I wanted a glow in the dark Barbie doll that I had my heart set on. Now, my mom did not approve of Barbie for some obvious reasons that I can see now, but I wanted that Barbie so badly. Though I knew it was not likely that I would get it, considering my mom's convictions. Imagine my shock, when on Christmas morning I opened up a present that was a glow in the dark Barbie!!! Another memory that I still cherish till this day. I love that even though my parents may not have been able to afford a lot of presents or approve of what I wanted they and others wanted to bless me with the desires of my heart as a child. In later years these memories would mean so much to me as there were many Christmas' that there were no presents and no happy memories. When I was 14 my Dad died and unfortunately we were left with no money. Not only were we without my Dad but we then moved to a different state where we knew no one. I remember how lonely that Christmas was. As we got involved in a new church we were so blessed to have some amazing families take us under their wing and always include us in their holiday gatherings. Now having my own family and marrying into a huge extended family, I feel so blessed and thankful any time we gather together, because I remember those days of it just being my mom, brother and sister...and no presents. I don't take for granted what a gift I have been given and I want to be able to be a blessing to others who are not only without the financial means to buy gifts but who are lonely. Though presents are great, I believe the presence of others on Christmas is ultimately the best! I have been asking God that he would show me ways to be a blessing to others this Christmas, in not only a financial way, but a practical and loving way. To look outside myself and even my family to those who are hurting and alone. I love Christmas but it can be so easy to just want to think of ourselves and only want to give to those who give to us and are in our inner circle of family and friends. How often do we get outside of our comfort zones to reach out to those who don't have anybody, and who are often forgotten? Unfortunately, I know on my part, not enough. I pray that this Christmas and those to come we will look to the interests of others. That we would have a hand in making beautiful memories for those who might not have any and give the gift of not only our money, but our time and affection to those that need it the most. 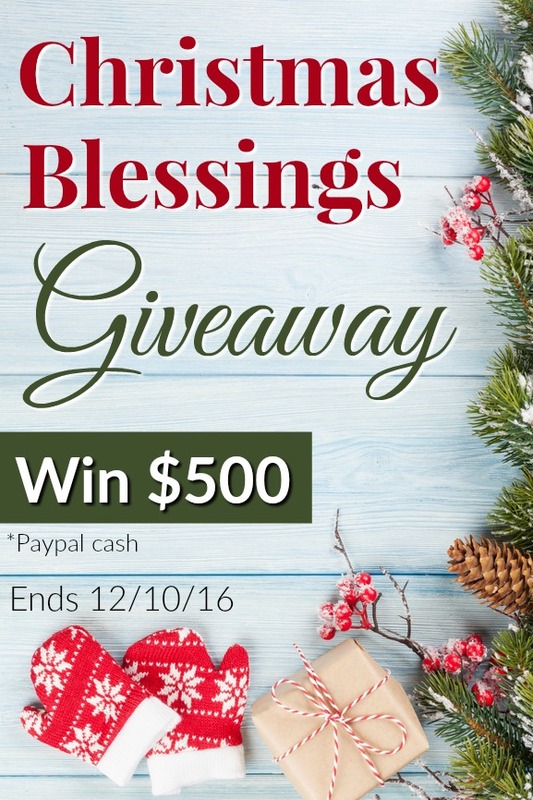 It is such a blessing to give to others and I, along with 25 other bloggers, can't wait to bless one of you with $500 Paypal cash with the Christmas Blessings Giveaway! Whether you decide to use this money for fulfilling your kids' Christmas lists, paying off a bill, or just saving for a rainy day, we hope to lessen the financial burden and/or brighten the day of one of our readers with $500 Paypal cash to use for whatever their family needs. You can earn a lot of entries in the Rafflecopter form below. I know it can seem tedious and time consuming to go through all the entries, but isn’t a chance at $500 worth it? I think it is! Plus, if all of these generous bloggers didn’t participate, we wouldn’t have been able to have such a big prize! So I hope you will take the time to go through each entry. Who knows, maybe you will find some new blogs to follow. Do you have any Christmas memories that have stuck with you? What are some ways that God has shown you to bless others this Christmas? How would you use the giveaway $ if you won? This prize would help our travel expenses this holiday season. We're visiting family out of the country. Oh yes, traveling is expensive! But it's so nice to be with family! Hope you get a chance to win! Way cool!! $500 would mean spending Christmas with our extended family three states away in Oregon. We've already gone too many times this year for ailing grandparents and don't have a Christmas trip in the budget. Love how you are paying it forward! That would be so awesome if you could visit family! I really want to go see my brother in Washington! It's so expensive! Hope you are able to go see them! I am sure God will show you;) Thanks so much Bethany! I am thankful for all that God has taught me even through the difficult times. Winning this Giveaway would bless our family immensely as it would help us pay necessary bills, necessary items, and Christmas gifts for my boys which would be needful items for them. Yes, sounds like you would put it to great use!! I loved hearing your stories. I also lost my father fairly young (I was 20), and it meant so much to us that our church family blessed us by helping us cut down a tree and in many other ways that first Christmas without him. 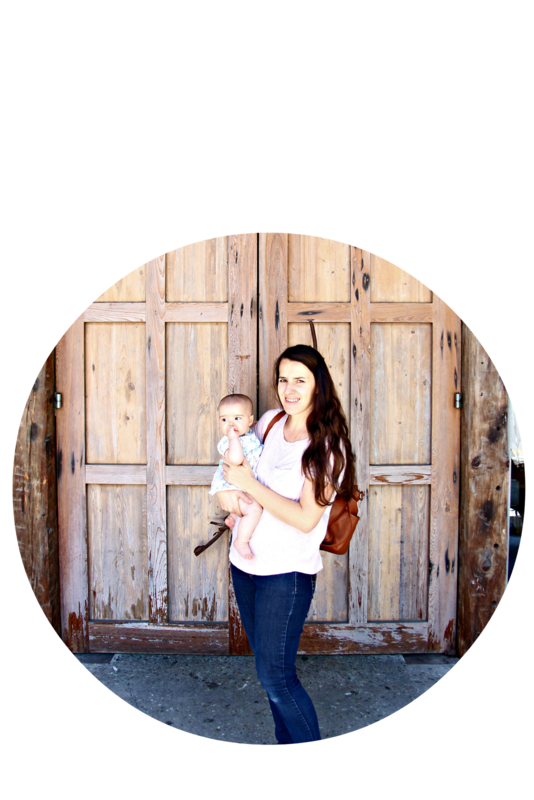 Blessings to you and your family for this wonderful giveaway! Thanks so much Jenni! So sorry you lost your father also. What a blessing the church family is! Quite honestly, I would most likely have to bless someone else with the money if I won it. We do have our share of bills, but basically, we are doing well and aren't in need like others. That is so great that you are in a season where you are able to give! I'd buy my husband the new computer he's been wanting. We keep saving up for it and then something more important comes up that we have to spend the money on. It's always something isn't it? Hope you are able to get it for him! Sounds like a great use for the $!!! Stay safe! Since we don't have children and live away from our families, we spend the money would have used on gifts to shop for Operation Christmas Child. I love the chance to bless children who really won't receive presents otherwise and to think about the joy they will have when they receive the gifts. Plus they get to hear the gospel as a result of the shoeboxes. I have so much of what I really need, so instead if getting more stuff for Christmas, it's a blessing to be able to give to those who truly have a need. What a great idea! We have participated in that before. It's such a great ministry! How exciting! That would be great to have the $ to put towards your kids education! We would "pay it forward" by using part of it to get food &/or hats & gloves for the homeless of our city. The rest would be saved for when we will, inevitably, have to replace my minivan sometime in the near future. Sounds like you are having a great Christmas despite things being tight. Praying he continues to provide for you and helps you to be resourceful! We would use it to pay off our sons' medical bills. I would be able to buy my children toys and books for christmas. Your story and memories are so touching. I am so glad that your church rallied around your family. Thanks so much! Yes, the body of Christ is amazing! Awesome reminder of God's faithfulness in all circumstances. Since having our 5 kiddos, God has amazingly and unexpectedly blessed us various Christmas Seasons in order to provide what we need. It may have been what others may consider little to very big ways to us. No, not all of our wants but it turns out so much better that way.. when we see His amazing provision and can rest fully in His will and His timing! Yes, so true!! He is so faithful! !